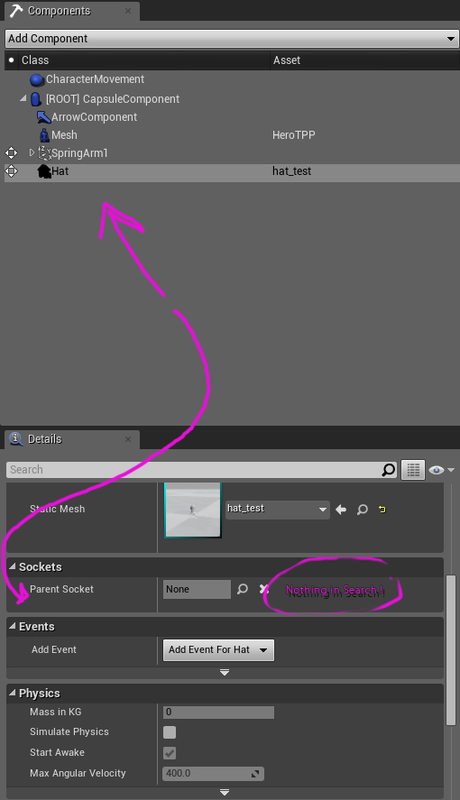 How do you use Sockets in blueprint to attach to a mesh to a character? I have tried in different ways to attach a Hat to the demo-character in the Side-Scroller example. But not many things seem to work. I have tried it through a world blueprint and through the component details. 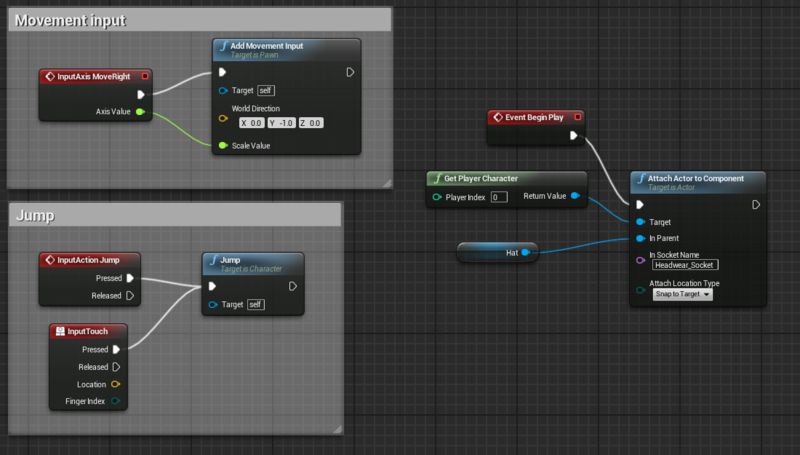 Also tried in the graph of the character blueprint itself but no success there either. When i go into search in the component details. its not showing the sockets. 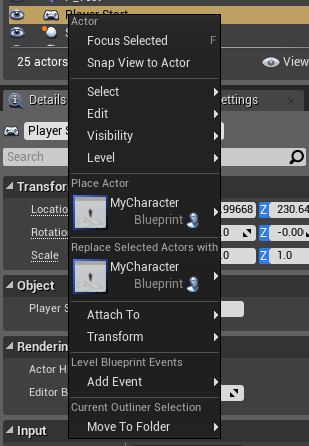 How do I set up Avoidance Navigation for scary characters in UE4? [Question] Is there a equivalent to AimNode? 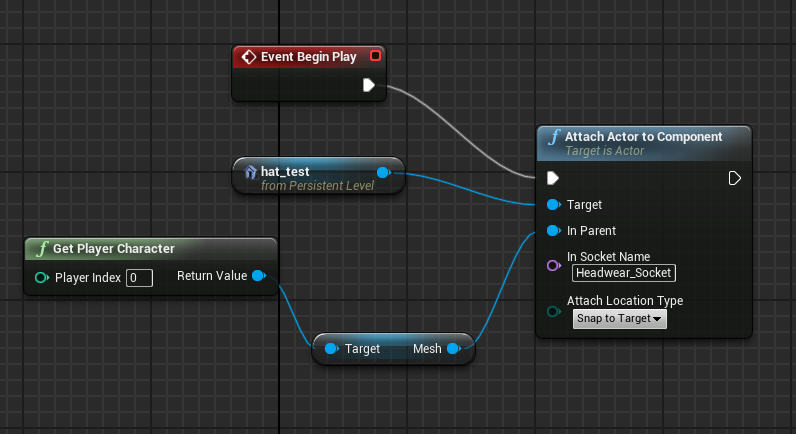 How can I "get" a socket on a static mesh inside a Blueprint? How to make recoil for a gun or rifle?